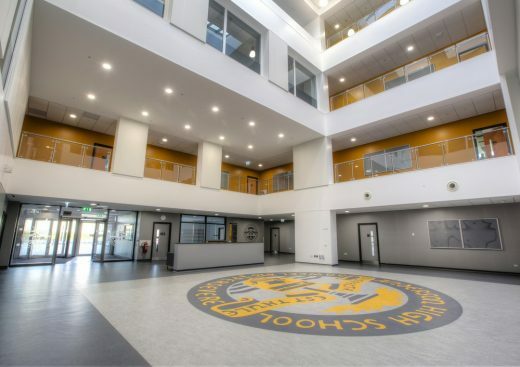 Designed by international design practice, Ryder Architecture, and delivered by hub North Scotland with main contractors Morrison Construction, the new school has now welcomed 1,180 students and staff with great success. The secondary school and associated halls of residence had to be inserted into a highly sensitive context which required careful consideration of the siting, external form and internal spaces of the building. Originally founded in 1862, the new Anderson High School is one of the largest structures in Lerwick. A central atrium space and support spine is surrounded by a wrap of teaching spaces. The majority of the classrooms are on an external façade, bringing natural light deep into the rooms. 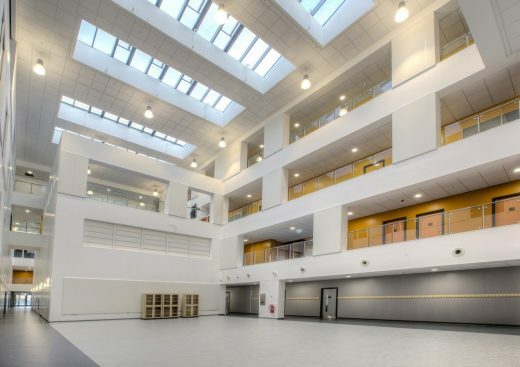 The atrium space brings light down into the heart of the building and provides a social hub for the whole school. Many pupils will spend the majority of term time staying in the halls of residence rather than returning home each week. To provide a home away from home, the halls offer as many facilities to the pupils as possible beyond simply sleeping accommodation. At ground floor there are a range of social rooms which vary in scale from large communal games rooms, to lounge sized television rooms, to individual study booths and music practice rooms, as well as additional support needs facilities and a dedicated weekend flat for visiting parents. 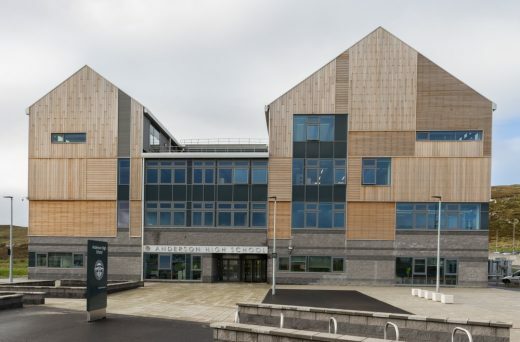 The school is an addition to the impressive Ryder portfolio for Hub North Scotland as part of the Scottish Schools for the Future Programme (SFT), with existing completed projects including the award winning Wick Community Campus and Kirn Primary School.